Before she was scoring goals, Becky Sauerbrunn was just a kid trying to fit in. Learn more in this first book in a brand-new nonfiction series about the childhoods of your favorite athletes. Midway through her first soccer game for the US Women’s National Team, Becky Sauerbrunn broke her nose. More to the point, it exploded, really, in a head-to-head collision. Still, it never occurred to her to leave the field until she saw the horrified reaction from her teammates and coaches. Sauerbrunn’s toughness is one of the reasons she has developed into perhaps the finest defender in women’s soccer on the planet. The source of that toughness? Being the younger sister to two older brothers. Becky would do anything to play with her brothers—including allowing them to duct tape plywood to her forearms so she could play street hockey goalie and have her brothers shoot slapshots at her. Or letting them wrap her in blankets (so tightly she still has a phobia of bundling up) and launch her off the bed, trying to see how far they could get her to fly. But Sauerbrunn’s brothers also helped her in another important way—they helped her learn to read, which fueled a lifelong passion for books. In fact, she believes that reading has helped train her brain for the kind of problem-solving challenges she faces on the field, defending the most talented forwards in the world. 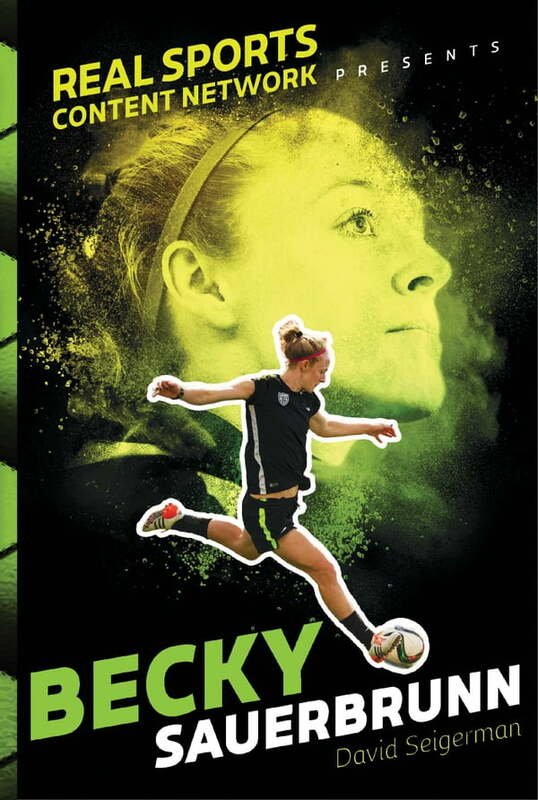 Her cerebral approach, combined with her toughness, are the keys to her soccer success—the roots of both can be traced back to the little girl who wanted to hang with her brothers.